"On a clear day you can see forever and ever." 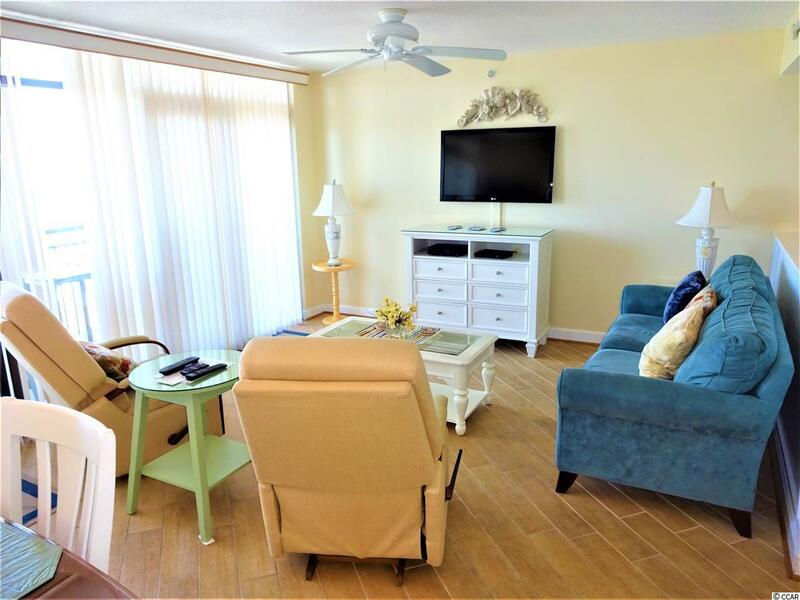 One of the best ocean views in Cherry Grove, North Myrtle Beach! From this spacious balcony on a clear day you can see North Carolina. Watch the boats come in and out from Little River. Porpoise are frequently seen breaking the surface of the water, truly an ocean watchers joy. From the Second bedroom the sun sets transforming the marsh into a wash of golden jewels, a painting waiting for a canvas. There is plenty of room for sitting comfortably in the living area and room for 8 around the dining room table. 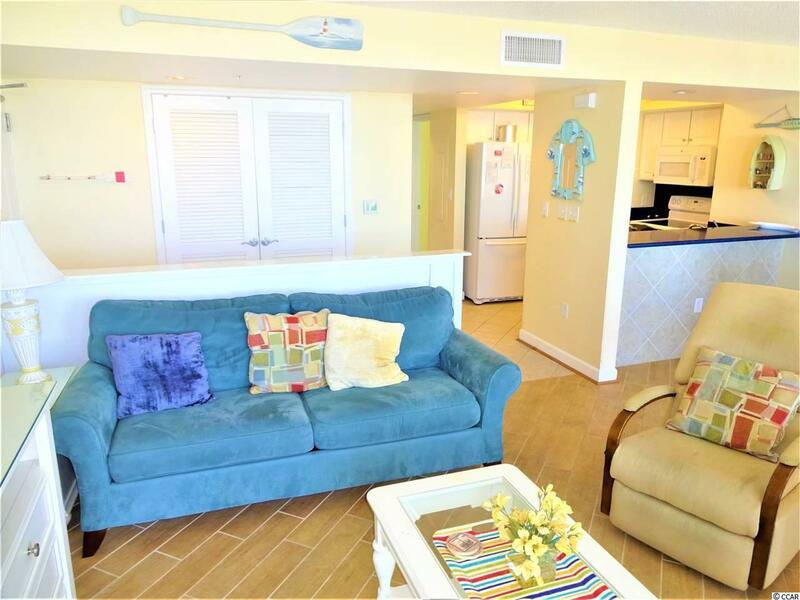 Renters come back year after year for the quiet setting of BeachWalk. The Master bedroom is sizable with two Queen sized beds that looks out onto the balcony. 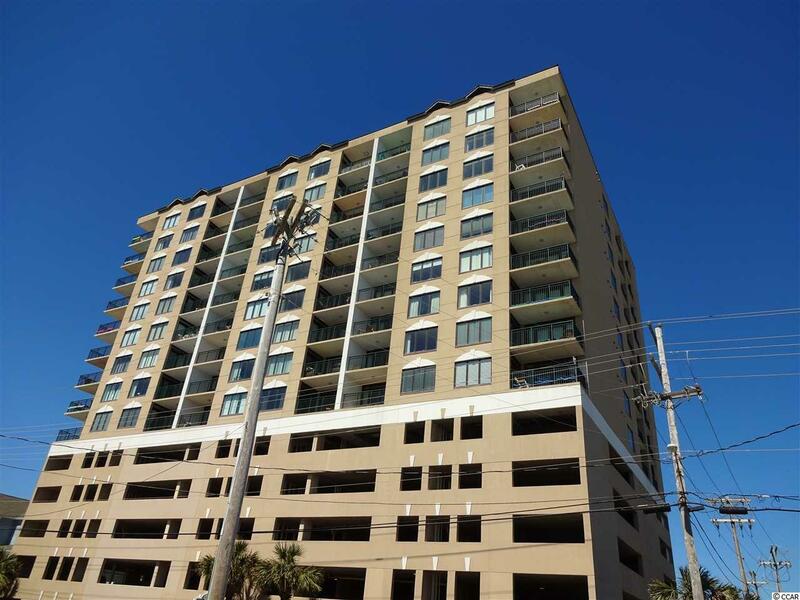 Onsite parking garage allows for ease of access from the car to the condo. The Interiors have been well cared for and well maintained. The owners amenity center across the street on the Oceanfront is set for visitors with an indoor and outdoor pool and game room. 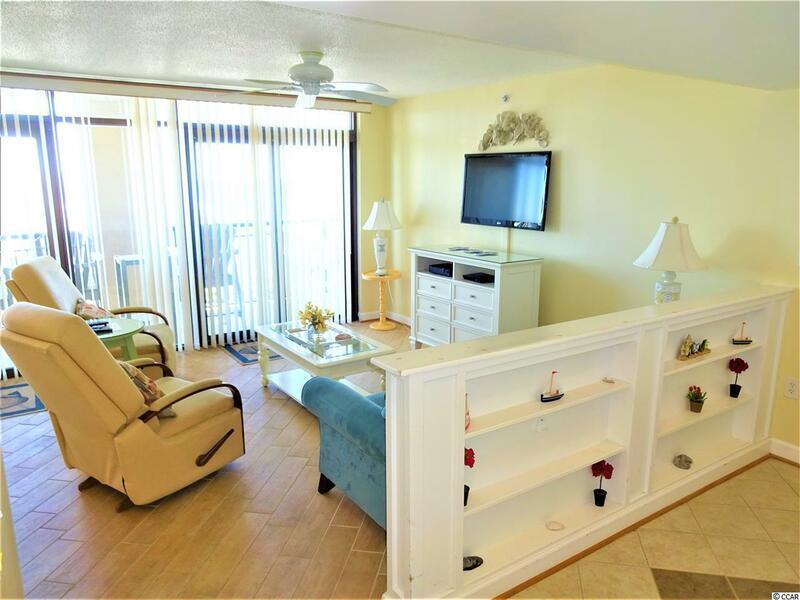 Using your owners only key code take the elevator to the 3rd floor for a private lounge with pool table, kitchen, comfortable living room setting, large screen TV, restrooms and another huge balcony looking over the pool and out on to the oceanfront with seating for many. Without exception one of the best ocean views from the second row in Cherry Grove.